One by one I take the orange bags from the man in purple. Tijm and Linde grab them, and drag them to the kitchen. Bags full, of milk, yogurt, flour, eggs, fruit and cheese. And much more. ‘This one’s too heavy, mummy,’ Tijm puffs, lopsided. I take the sixteen pints of milk off him and pick up three bags of satsuma’s. ‘I wanted those!’ he screams, and snatches them back. Cheerfully they run, back and forth, until the kitchen is lined with shiny orange bags. When I want to take the carton of eggs the man pulls back his hand. He observes the box. ‘One is broken,’ he concludes. He puts it back in it’s crate. I stick out my hand. My eggs? He scribbles on a piece of paper. I don’t want a refund. I want my eggs. ‘What’s special today?’ I ask. How can he know what’s on the menu? How could I forget. I blogged about it last year, on my dutch website, how this lovely English tradition of finishing all your eggs, milk and sugar before Lent starts was so sweet. 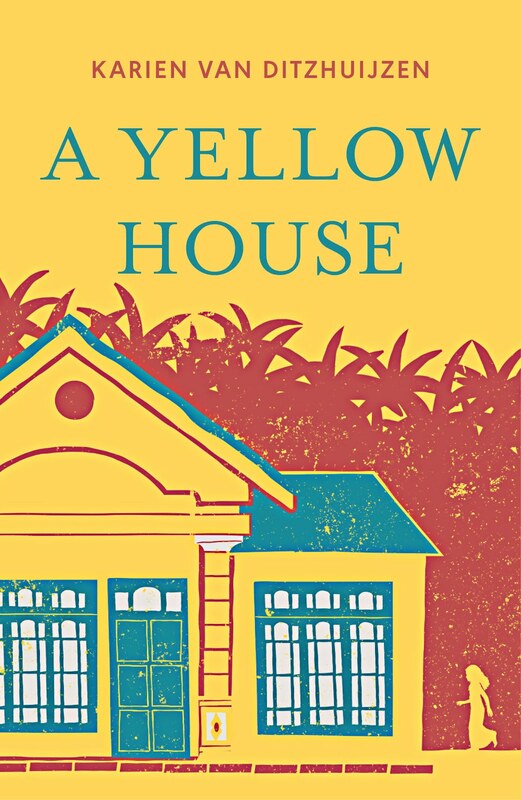 How the shelves full of lemon, flour, and big banners made sure everyone knew. But not me, this year, me, who can’t face dragging three kids to the supermarket and orders everything online. I had planned something else. Also cakes. Also from a pan. There are many little cakes and fritters that you can fry up. Children and adults alike will love them. They are an excellent weaning food for little ones, as well as a good way of getting vegetables into picky toddlers. 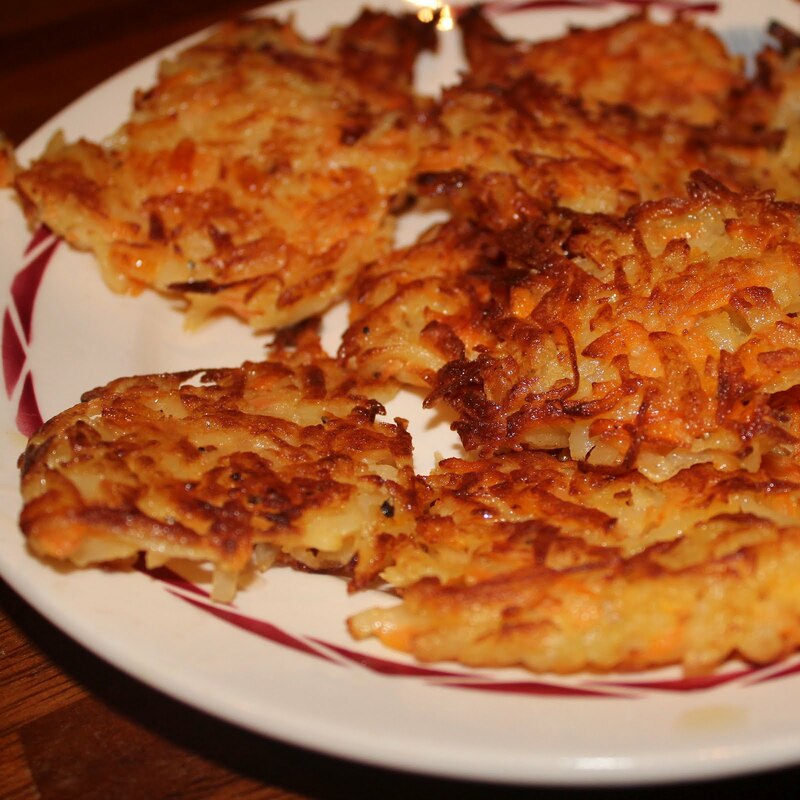 Latke, Jewish potato pancakes, are simple and tasty. You can eat them on their own, as a starter or side dish. With sour cream or apple sauce. Now comes the most important part, you have to squeeze out excess water. This can be done in a muslin cloth (the baby ones are perfect) by wringing out as much as you can. If you do not do this your latke will go soggy and fall apart. 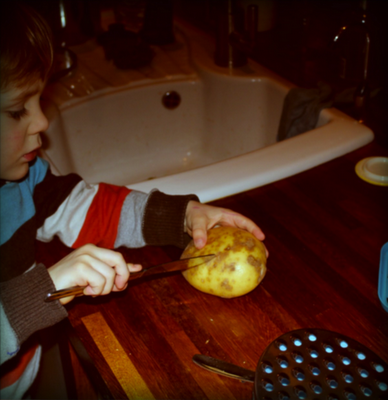 Then add the egg, roughly one per half a kilo of potato. Season to taste. If you like you can add a little (potato)flour, to make them easier to bake, but you don’t need to. 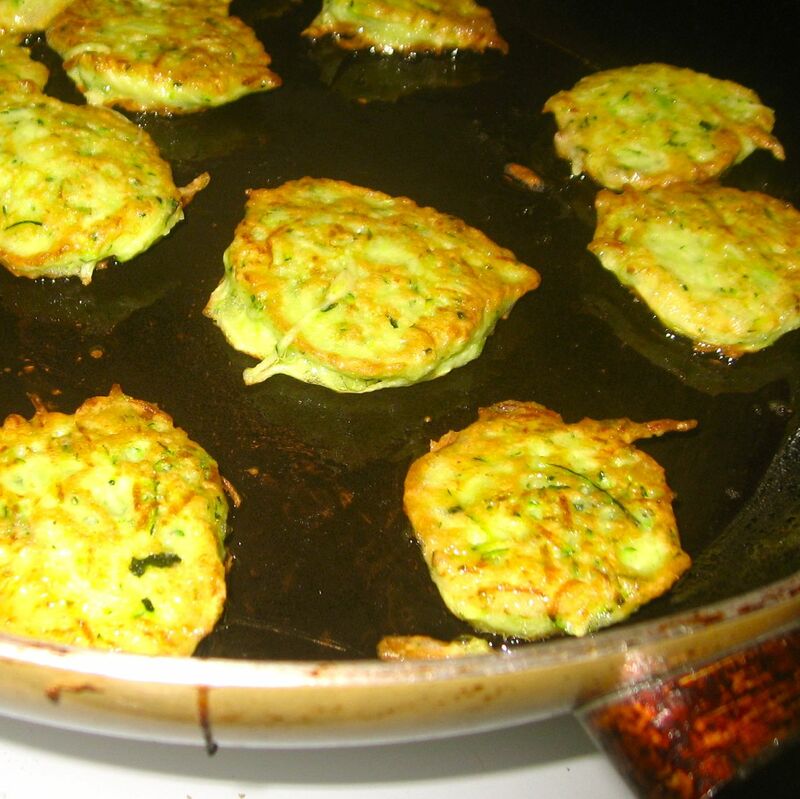 Fry the latke by dropping a heaped spoonful in hot oil and squashing in place with the back of your spoon. Fry until crispy on both sides and serve hot. You can vary by adding other vegetables, for instance carrot, onion or parsley. Anything fried and frittered is very popular in our household, and I make many different versions. 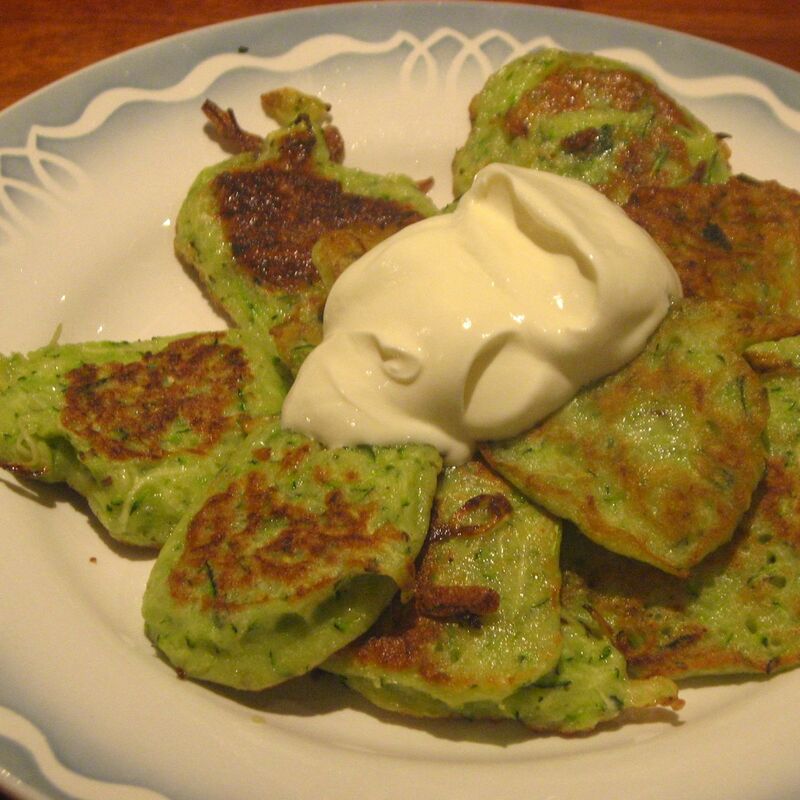 For my children the following recipe, which is a combination between a latke and a pancake using various vegetables, is a favourite. The recipe below uses courgette, but you can basically use any type of grated, chopped or pureed vegetable. For instance carrot, spinach, sweet potato, squash or whatever takes your fancy. To make them a full meal add some cheese or tinned mackerel and serve with sour cream or cream cheese. As in our families we cope with different food intolerances we make them with glutenfree buckwheat flour and soy milk. But any type of flour and milk will work. Mix the milk, flour and sugar into a think batter, add more milk or flour if necessary. 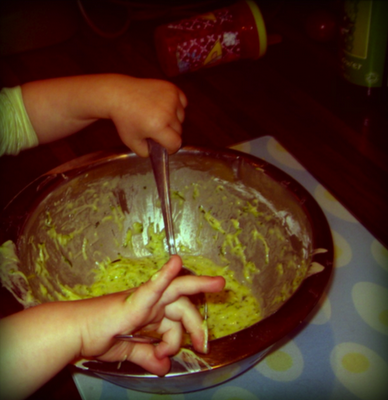 Grate the courgette and mix it in. The exact ratio does not matter, you can make them more pancake, or more fritter . Season with pepper, salt and whatever herbs and spices you like. Scoop spoons into hot oil to form little pancakes and fry them golden in a few minutes. They look gorgeous - I'm sure your kids loved helping you make them.